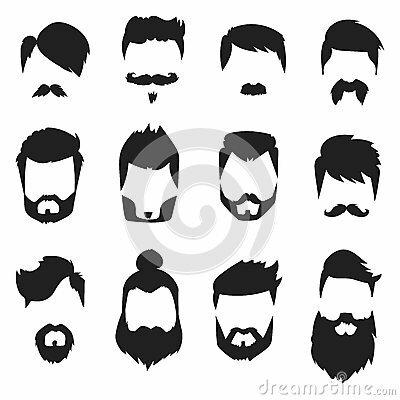 Hairstyle beard and hair face cut mask flat cartoon vector. Hairstyle beard and hair face cut mask flat cartoon. Vector mail illustration flat fashion style. Retro design people portrait young character.